Those with an interest in civil discovery have been closely following the development of case law interpreting the recently enacted amendments to the Federal Rules of Civil Procedure. This attention is understandable given the apparent impact the rules amendments are having in discovery practice. 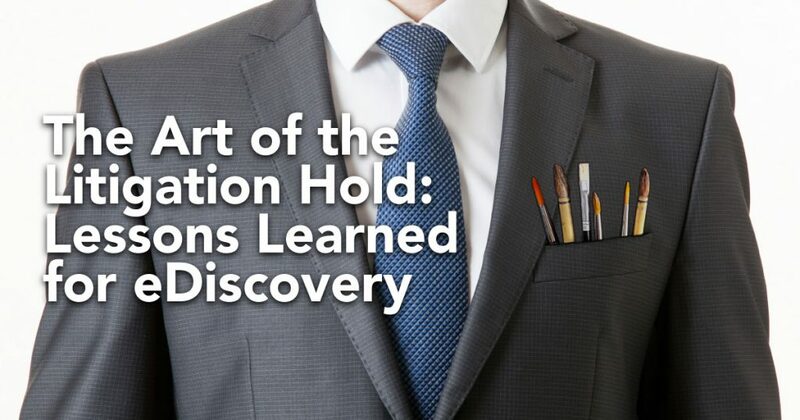 From the focus on proportional discovery under FRCP 26(b)(1) to the modified sanctions framework created by FRCP 37(e), the amendments are causing counsel and clients to rethink existing litigation readiness practices so they are better prepared to discharge their discovery duties. By now, most people are aware of the trending topic of cybersecurity. They have read about the Ashley Madison, Target, or Sony breaches that have occurred in recent years. These more widely publicized types of cybersecurity breaches involved personal identify information (“PII”) being hacked and either distributed to the public or possibly sold via the dark web. The idea is that this stolen information can be embarrassing or potentially used for identity theft purposes. What is Ransomware? In recent months, there has been a rise in activity of another form of cybersecurity breach using ransomware, a type of malware that infects a computer, shared drive, or piece of hardware. Despite their well-earned reputation for being luddites, most lawyers know by now that information relevant to a particular lawsuit often resides in email, text messages, and traditional social networks like Facebook. While such a “small step” for lawyers is certainly a positive, it also obscures the fact that there are many other, less obvious sources holding relevant electronic data. Many of these sources – including global positioning system (GPS) devices and electronic toll transponders – are often overlooked in discovery even though lawyers use them daily in their personal lives or practices. It has been fascinating to observe the rapid change in discovery rulings among the judiciary since the amendments to the Federal Rules of Civil Procedure were enacted late last year. Whereas courts used to intermittently reference proportionality standards in connection with discovery motions, they are now doing so with regularity. 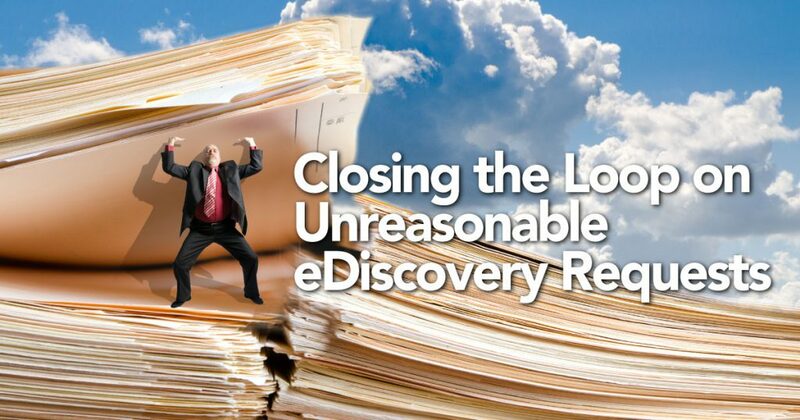 More significant, however, is that courts are routinely using the reinvigorated proportionality limitations found in amended FRCP 26 to temper unreasonable discovery demands. Privilege logging is one of the most despised elements of discovery practice. A few years ago, civil discovery expert Kevin Brady concisely summarized why courts, counsel, and clients universally detest privilege logging: Judges don’t want to hear about the disputes or do any in camera review. Partners do not want to oversee the work on the log and associates don’t want to be bothered with such mundane tasks. Clients don’t want to pay significant amounts of money for something that poses only risk and no reward.